Bring unmatched style and functionality to your home with the American Hearth Contemporary Boulevard Direct Vent Fireplace – 48”. The sleek design and matte black finish allows this unit to seamlessly fit with any style decor. The 13″ x 48″ ceramic glass front gives you an optimum viewing area while working to maximize the heat produced by your unit. The included Multi-Function remote gives you complete control of your fires with thermostat and flame height control, along with wireless on/off capability. Adding an optional blower to the American Hearth Contemporary Boulevard Direct Vent Fireplace – 48” will help amplify the 38,000 BTUs produced by your unit. 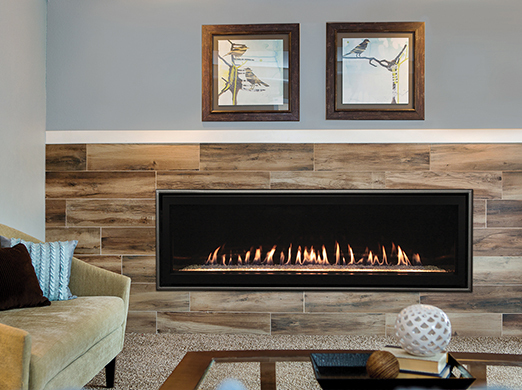 The included matte black liner gives your fireplace a modern style. If you want to upgrade the interior of your unit ridgeback bronze and black porcelain liners are available. 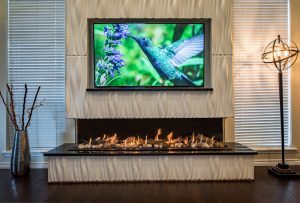 Further customize your fireplace by selecting one of the gorgeous decorative fronts. 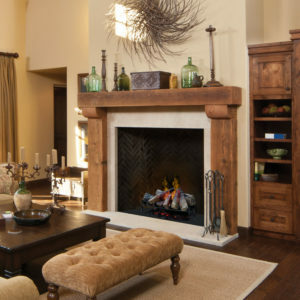 Give your fires a unique style by adding and accent light.This unit includes a safety mesh front preventing burns from contact with the front of the fireplace.